Aussie motorists are being urged to shop around to avoid paying too much for petrol, with the consumer watchdog reporting a sharp increase in prices. The Australian Competition and Consumer Commission (ACCC) claims that average petrol prices in the five major cities – Sydney, Melbourne, Brisbane, Adelaide and Perth – increased significantly during the December quarter and hit their highest levels since 2015. Average petrol prices increased by 12.6 cents per litre in the quarter to 135.1 cents per litre. “Motorists can fight back against these high prices by using fuel price websites and apps to shop around. Consumers can save significantly by timing their purchases during the price cycle, which encourages the retailers to be more competitive,” ACCC Chairman Rod Sims said. 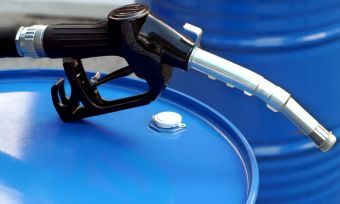 Three main factors said to contribute to over 65% of the increase in retail petrol prices include a lower AUD-USD exchange rate, higher international crude oil and refined petrol prices. “Petrol retailers’ margins are the highest they’ve ever been and motorists are paying for it. Last quarter alone, average gross retail margins in the five largest cities were 14.2 cents per litre, an increase of 3.9 cents per litre from the previous quarter,” Mr Sims added. Increased costs have contributed to the spike to some degree, however, it “does not explain the bulk of the increase,” Mr Sims said. The ACCC doesn’t have the power to set prices or margins. In the December quarter, the AUD-USD exchange rate decreased by around USD 0.02. The US exchange rate is a significant factor in Australia’s retail petrol prices because international refined petrol is bought and sold in US dollars in global markets. The price of Brent crude oil reached its highest level in over two and a half years. It was influenced by crude oil production cuts and an influx in demand. The increase in crude oil prices led to increases in international refined petrol prices and the oil producers are now committed to extend the production cuts to the end of 2018. Brisbane retail petrol prices remain the highest among the five largest cities due to weak retail competition, the ACCC says. “Over the eight years, Brisbane prices have been on average 3.3 cents per litre higher than prices in the other large cities,” Mr Sims noted. The ACCC report found that the average differential between regional prices and prices in the five largest cities in the December quarter was 5.2 cents per litre lower than in the September quarter. It was found that retail prices in Launceston and Cairns were significantly above a long-term competitive cost-based price in the December quarter, while prices for Armidale were moderately above long-term competitive cost-based price and Darwin marginally. Darwin petrol prices increased significantly between October and December, by much more than the increase in wholesale prices. “The high petrol prices in Darwin will be frustrating to motorists there,” Mr Sims added. ”It’s positive that the NT Government launched the MyFuel NT website and app in November last year. I encourage Darwin motorists to use the service to shop around and buy their petrol at the lower priced retailers, such as FuelXpress and United, rather than at high priced retailers such as Coles Express.